With an over the top, rock star lifestlye, MGK has been bubbling under the radar for a minute but it wasnt until he dropped Wild Boy with Waka that the streets finally started to take notice. The Remix was even bigger and featured 2 Chainz, Meek Mill, DMX, Yo Gotti, Mystikal and French Montana. However, many wondered if he was a one hit wonder considering his subsequent singles “Invincible” feat Esther Dean and “Warning Shots” feat Cassie didnt take off. However, the greatest co-sign came from troubled leader of the Ruff Ryders, DMX. DMX, not one to bite his tongue, slammed popular rappers like Drake while praising MGK. The admiration spawned the high energy track “I Dont Dance” but sonically it was in the vein of Wild Boy. “Lace Up” however, gave that dark, gritty side of DMX on “D3MONS” and MGK stood toe to toe with the legend. Surprisingly, “Lace Up” wasnt dominated by high energy, uptempo club bangers. MGK definitely had those like the title track, “Lace Up” feat Lil Jon and “Stereo” feat Alex Fitts. I was drawn to the darker and more personal tracks “See My Tears,” “Hold On (Shut Up)” feat Young Jeezy and “Edge of Destruction” feat Tech N9ne & Twista. He even enlists Bun B & Dub-O for “What I Do” to make sure we are all aware of what he does and came to do. 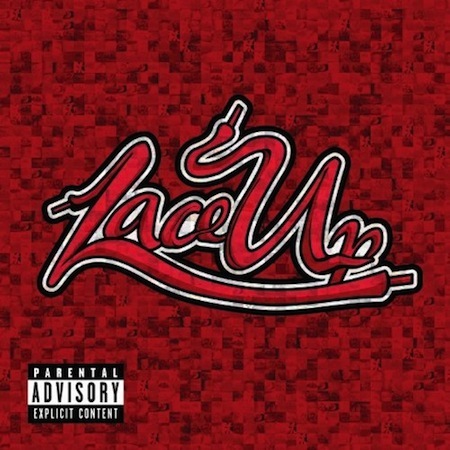 “Lace Up” is a strong debut for MGK. It is a concise, flowing album without too many lags or skippable tracks. I guess its to be expected when the white boy mad everybody stop and take note of his lyrical prowess when he shut down Rucker Park. (see video here: http://youtu.be/ndgV3Tpllrc) In addition to those previously mentioned contributors the album also features M. Shadows, Sysnster Gates, Anna Yvette, Planet VI and Black Bear. Is this the album that will bring Bad Boy back to prominence? Probably not. However, he is the strongest artist currently on the roster until proven otherwise. His sophomore album is going to be what determines his longevity. We all know that most people fall to the superstitious Sophomore Slump but he’s going to have to have a solid album even if the sales numbers arent there. Guess what Suge!?! Diddy doesnt make an appearance on the album at all. I dont think I even heard one adlib! Go cop this album though its definitely a good one.